I have added new dates for my card club which meets on the 3rd Tuesday evening of each month. When I started the club, registration and a club contract was renewable every 6 months as I was testing the water so to speak. In the collage above, these are some of the projects we did this year. Each month we learn a new technique which you practice and file on a 6 x 6 reference guide with detailed notes stored in a 6x6 page protector which you get to keep. 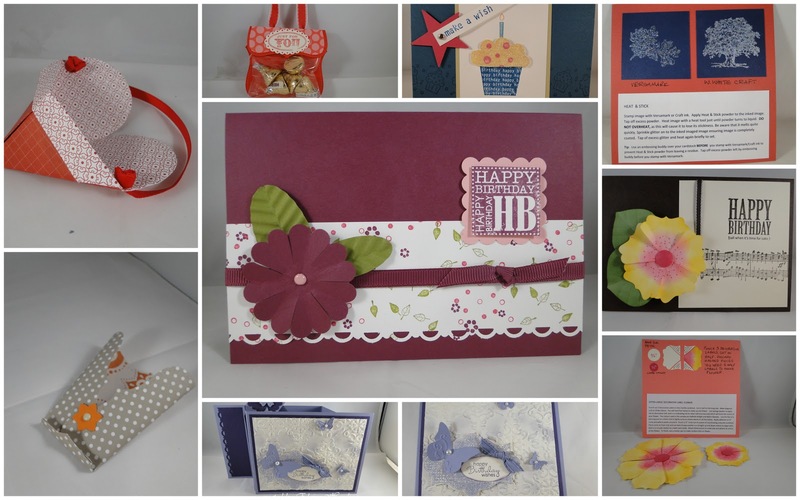 You make a card incorporating the technique and also do a 3D project.